Let Total Aqua help you help you decide what is the best system for you and your family. A countertop filtration system from Total Aqua is fully portable, making it a fantastic option for renters or anyone thinking of moving to a new house. These systems supply pure filtered water by fitting directly onto your kitchen tap – no need for any complex installation. A countertop filtration system from Total Aqua will reduce chlorine, volatile organic compounds, chlorinated hydrocarbons and other particulates from your water. Contact us today if you think a countertop filtration system is a great solution for your home. The Premium Reverse Osmosis System is a great health solution for those with sensitive diets and medical conditions. Our system comes with an optional undersink chiller for purified, chilled water at your fingertips. Contact us today to learn more about this amazing water filtration system from Total Aqua. On top of all of this, our Premium Twin Undersink System will leave behind all of the helpful minerals that your body needs to function properly. The Total Aqua Premium Twin Undersink System comes standard with our CSA145 Premium 0.45 micro carbon filter and crucial pressure relief valve. The system is also environmentally friendly and a great economical alternative for healthy, delicious water. The system is simple to use and is made with the highest quality parts synonymous with Total Aqua. Talk to us today to find out more about the Premium Twin Undersink System. When you think about water filtration, you’re probably only thinking about drinking water. But what about the water you’re bathing in? 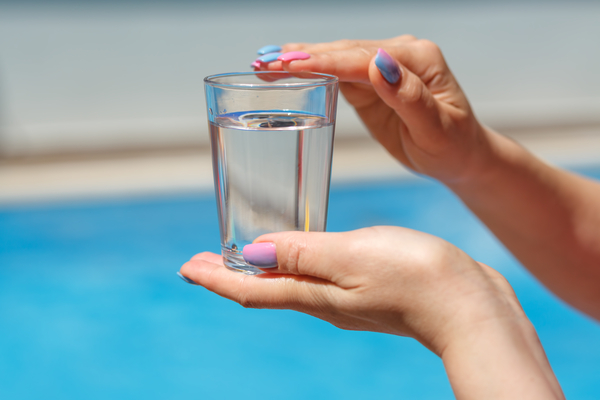 Chlorine and other dangerous substances can enter your body through your skin and lungs. You can stop this from happening by installing a Total Aqua Shower or Bath filter. By installing a Total Aqua Shower and/or bath filter, you can help to reduce dry skin irritation dry hair. Talk to us today to find out how installing a bath or shower filter can improve your health!